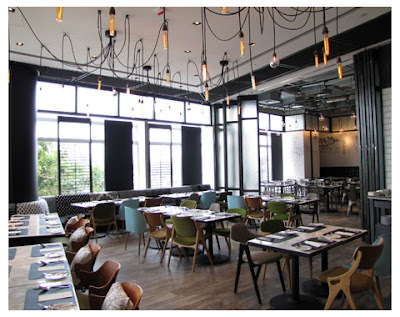 Greyhound is a trendy clothing boutique and cafe based in Bangkok. In summer 2011 they opened their first location in Hong Kong at the IFC Mall. A second one is planned for Harbour City in TST. At Greyhound HK, the food is authentic, which means the dishes taste just about the same as what you will get in Bangkok if you walk into Siam Centre or Paragon. That fact alone keeps me going back to the IFC location on a weekly basis. While the quality of food at Greyhound HK is just as good as the real deal, the service leaves much to be desired. Ask for a few tissues for your running nose and the waiter brings you one tiny square of a napkin. Order a salad, a couple of appetizers and an entrée and they all come at the same time (ergo, your entrée will be stone cold by the time you finish your salad). The tables are packed like sardines and they are tiny, so tiny that the server has trouble fitting your orders on it. You are expected to pay the bill and vacate the table as soon as you finish your last bite. All in all, it's pretty typical Hong Kong-style management: maximizing revenues to pay maximum rent. Like all new restaurants in Hong Kong, Greyhound is popular. A few weeks ago I stopped by the restaurant hoping to make a lunch reservation. The greeter rolled her eyes at me and snapped, "We're booked solid for eight weeks!" I could smell that unmistakable stench of new restaurant cockiness, even for a little Thai cafe! That's Hong Kong for you: new restaurants are hot for the first nine months, quiet for the next 15, and kicked out by mall management in two years. When they turn away paying customers, they should think about all the bad karma and bad will they create. But I digress. The best dish on the menu is the sirloin steak with sticky rice. At a whopping price of $248, it'd better be good. 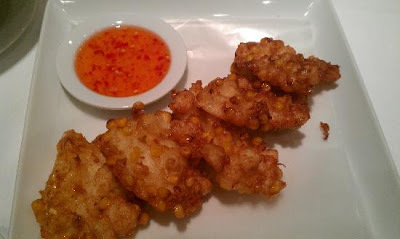 Other "must have" dishes include crispy sweet corn with crab meat, minced pork with basil (pat kra pao moon) and deep-fried chicken wings. A regular lunch without wine will set you back around $300 per person. That's the price we must pay to get a taste of Bangkok in Hong Kong. Your new site is GOOD - SKEPTICAL, PRACTICAL and PRECISE. 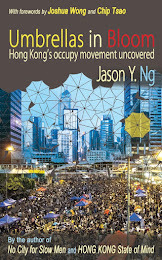 Your writing betrays a clear understanding of the local culture and habits and traits (let you have further comments if you write on overseas or PRC issues later on). Not to mention the people' s eternal concerns, on financial and rental issues and the like. 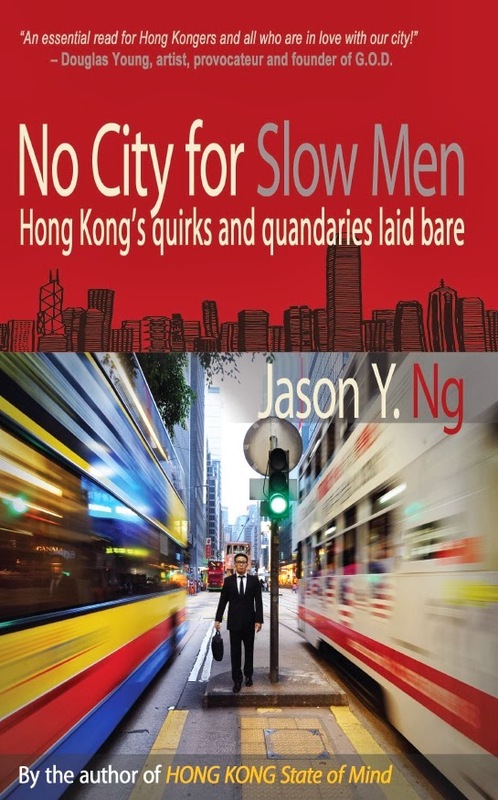 Jason Ng's signature writing style and humour meander through well though it is a shorter piece than your ordinary prose. 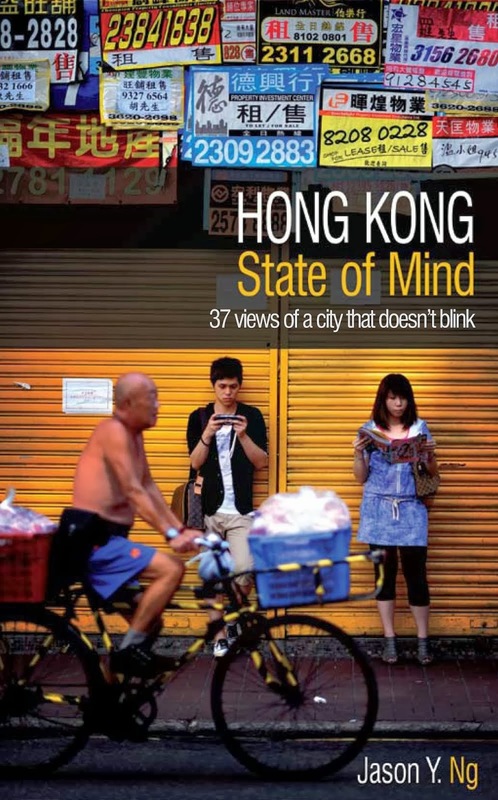 Keep it up and make everyone, locals and foreigners alike, perceive more of the true facets of Hong Kong! Thanks, Christine! Visit back often! After the initial buzz died down a bit, I finally got a table. Can't say the food is very good, more than passable maybe, not that I was expecting too much anyway. Though I can'/t make any constructive comparison as I have never been to the Bangkok one before. Still one thing I don't enjoy there is the overly cramped venue, our table hardly had the room for the dishes we ordered and it wasn't as it we ordered mountains of food. Not to mention I could almost reach out to the food on the adjacent table. Guess the escalating rent in IFC Mall is no helping them, right?The whole place and the ambiance would have been quite nice if it wasn't that cramped and open out into outdoor greenery and breezes instead of squashed together in a claustrophobic manner in a Mall. Or am I wishing for too much given that this is HK afterall?